You are here: Home / Meditation Tips / Meditation Master Class / Is Asceticism Important to Meditation and Spiritual Growth? Is Asceticism Important to Meditation and Spiritual Growth? When we speak about purification in a spiritual context, extreme ideas often come to mind. Perhaps you have heard of asceticism. Asceticism is the to denying the physical body all comforts in the pursuit of greater spiritual joys through deeper experiences. If you Google the term asceticism, you are likely to see pictures of emaciated people who use apparatus such as beds of nails or sleep deprivation tools to force greater and greater discomfort. This is more common in the Eastern countries where meditation is practiced. I have been on this spiritual journey for close to 35 years and I have been taught by many Teachers. I did not feel a calling to give myself over to Buddhism, Hinduism or Taoism though I revered their teachings. I attended lectures and workshops in all these religions and always sought to take all I could and incorporate the lessons into my practice. I was surprised that the Path that really captured my heart was that of Christian Mysticism. While this site and this post are not promotions of my personal faith, I want to share about this idea of extreme denial of pleasure and imposed suffering. And when I say imposed suffering, I am referring to those who whip themselves or lay down on painful surfaces as a way to discipline their bodies. In a nutshell, it’s not for me and I don’t recommend it. I have discovered that greater spiritual experiences can in fact be induced from states of severe deprivation. You may also know of the sensory deprivation tanks that are popular in America. People lie naked in a tub of salt water that is meant to be at the precise temperature of the body. The room is pitch black and at best, the room is completely silent. Once adjusted to environment, the lack of sensory stimuli can lead to deep relaxation. Certainly one will relax physically and having no stimuli can lead to some mental relaxation but tanks are by no means a guaranteed way to reach Nirvana. I have tried a handful of times and it was fine however what I have found regarding tanks is that they accentuate exactly where you are at in your spiritual progress. I read that Stephen Curry, the NBA star uses tank deprivation to visualize great success on the court. I believe it. But how many of us can afford to have an isolated room with all the necessary equipment in our house to slip into a tank each day? Meditation can be a practice that allows you to develop your inner life DESPITE the stimuli of the environment. Having no stimuli accentuates your inner life but doesn’t do the work of getting it sorted out. Whether in a tank or in a chair, you’ll have to do the work at some point. The same principle applies when it comes to denying yourself, whether it be denying food, sleep, liquid, or any pleasure. Denying food, water and sleep will send a message to your body and your body will try very hard to correct what is happening. In other words, if you impose starvation and other hardships, you will tend to artificially induce altered states and I am assuming (as I haven’t taken this TOO far) that spiritual experiences may occur as a result. The theory is that without the grounding elements of food, water and sleep, or flagellating yourself into pain, a being becomes more in tune with themselves as spiritual. The idea is really about consciously denying the good feelings that come from eating well, sleeping deeply or being sexual etc. We deny those indulgences and focus intensely on experiencing our spiritual nature. If this is calling to you, I would say investigate the process thoroughly and perhaps consult with a doctor who has an understanding of what you want to do. Most MDs in North America that don’t pursue any spiritual path are likely to warn you about the risks of extreme fasting and sleep deprivation. I have been using fasting as part of my approach to health and spirituality for abut 30 years. I do water fasts for either 1 or 2 days each month. So nothing extreme. When I work with students and they begin fasting, it is much harder for them as they aren’t used to the emotions and sensations that even one day without food stirs up. A day or two without food is pretty harmless but you can bet your body, mind and emotions will fight against it. Note that consciously fasting (by your own choice) is quite different than being denied food because you are imprisoned or mistreated. Willful participation, though difficult at times is a way to exercise discipline over the flesh body. I do it a day each month as a reminder to my body that the flesh does not rule my life. The health benefits to my system are a bonus. If someone else denies you food and you are not consensual to the process, your emotions will be much more extreme. Obviously that sort of thing is illegal and has no spiritual component to it. Fasting is only going to produce a positive spiritual result if it is something you willing choose to do. 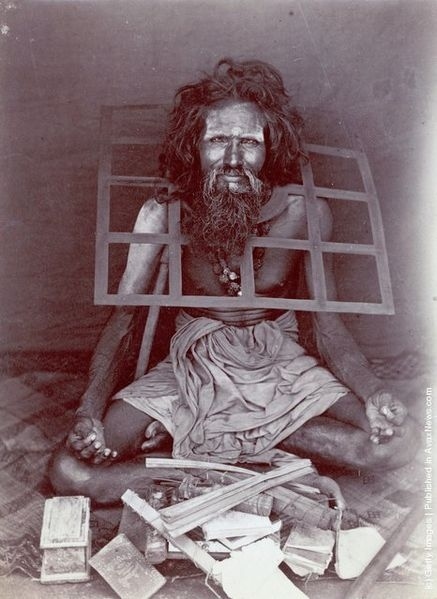 Asceticism is the extreme version of consensual deprivation. I have discovered that many people can get very attached to certain ideas when it comes to spirituality and for this reason I say, if you feel a strong pull to an asceticism, go for it with the caveat to be conscious of your health. It will do you no good spiritually to have heavenly experiences because of depriving your body only to realize you can hardly walk or have permanently harmed your organs in the process. For me, asceticism not the path of transformation. I strongly feel that the body is amazing and has been given to each soul as a vehicle for expression. Life on Earth is meant to be a place to express spiritual beauty through the vehicle of matter. Denying the matter of your flesh doesn’t make sense to me. And besides, there are ways to develop oneself through meditation where you have deep spiritual experiences without going to these physical extremes. 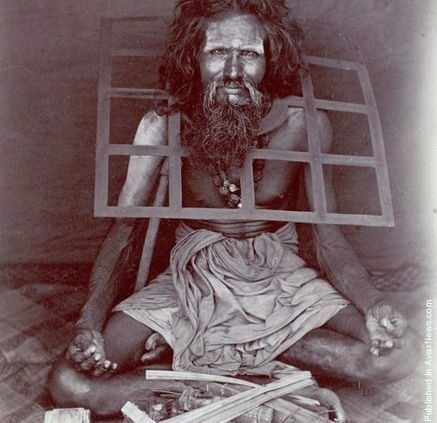 When you go to the extremes of asceticism, your body becomes practically unusable. That doesn’t make sense to me. The body is beautiful and amazing. Why would I want to starve it and seek to live in the spiritual realm while given the opportunity to live, create and thrive on the material plane. Instead, I do teach that one must manage their indulgences and discipline themselves to levels of moderation. Extreme intakes of drugs, alcohol and unhealthy foods will block the spiritual channels as they are not life affirming. The body will have to work extra hard to recover and during that time, likely you won’t feel great. Just think about when you are recovering from a hangover. It’s hard to meditate. Or if you overate, the belly is full and feels pressured. I have found that disciplining the flesh but taking good care of it means when I sit to meditate, I am fully available to my spiritual life. I can develop spiritually faster when I can concentrate better. Floating off into the ethers because I am dying of starvation or haven’t slept in weeks is hardly a balanced approach to life, in my opinion. https://www.meditatecenter.com/howtomeditate/wp-content/uploads/2018/05/Asceticism.jpg 599 437 Andrew Shykofsky http://www.meditatecenter.com/howtomeditate/wp-content/uploads/2018/05/Healing-Arts-Logo.jpg Andrew Shykofsky2018-05-09 18:11:422018-08-19 01:47:56Is Asceticism Important to Meditation and Spiritual Growth? What is the Ego? Is Organized Religion Spiritual?